As I enter Rangoli, I feel relief from the bright lights of the hotel lobby and find myself bathed in low light. It is also serene, notwithstanding the lively Indian music I hear as I walk in. The traditional rangoli in the form of colourful rice or flower petals that you would expect on the livingroom floors to welcome guests, manifests itself in an explosion of colour in the drapes. So, the colour motif from the rangoli is present as you walk in. The tranquility is maintained by waiting staff who conduct themselves in a manner befitting the restaurant - no noise is heard as they tread the wooden floors, and their tone of voice is gentle but clearly audible. What a start, all in the first 3 minutes. The traditional Papadums are brought to the table. Cracklingly crispy, they are accompanied by something akin to chana masala, (a chick pea curry), smoked tomato and a green vegetable salad - all tiny portions of course. 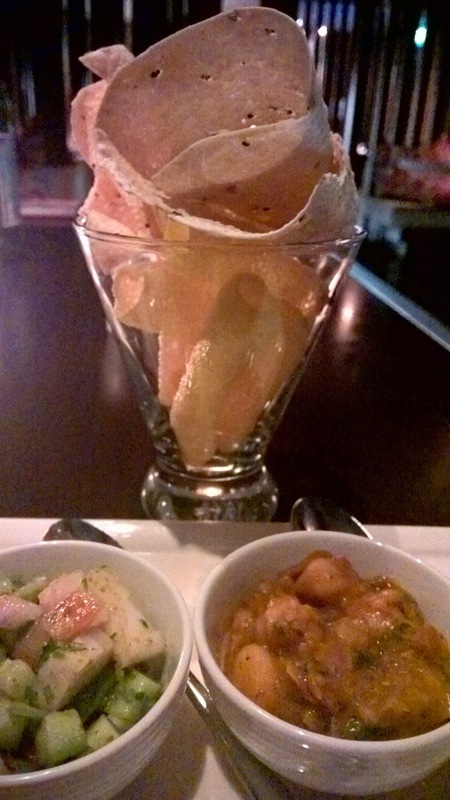 Papadums are just a lovely way to get the palate going. I peruse the wine list. I am impressed by their by-the-glass options - in total there are 28. No, that is not a mistake. 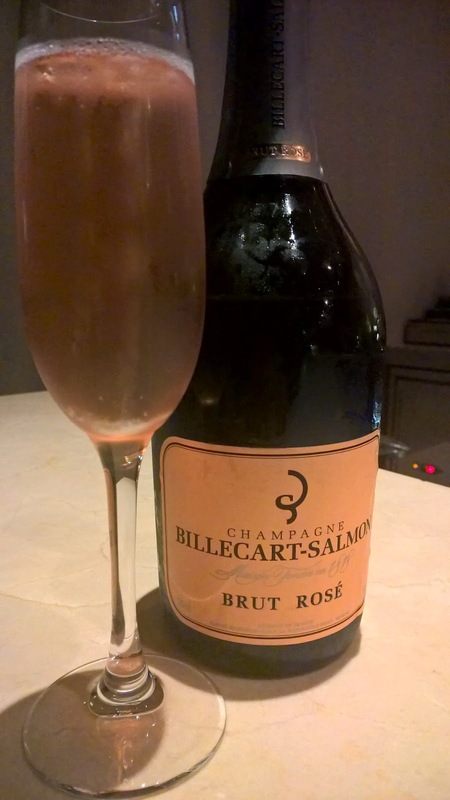 I look no further than the NV Billecart-Salmon Rosé. I see it as a good choice over the obvious preference of a Riesling with its level of sugar. Wine with Indian food is tricky - you don't want the wine to be overpowered by rather aggressive Indian flavours. At the risk of overstating, I am astounded by the price. This elegant boutique-like Champagne with its beautiful structure and fine bubbles, routinely appears on that latter pages of restaurant wine lists. 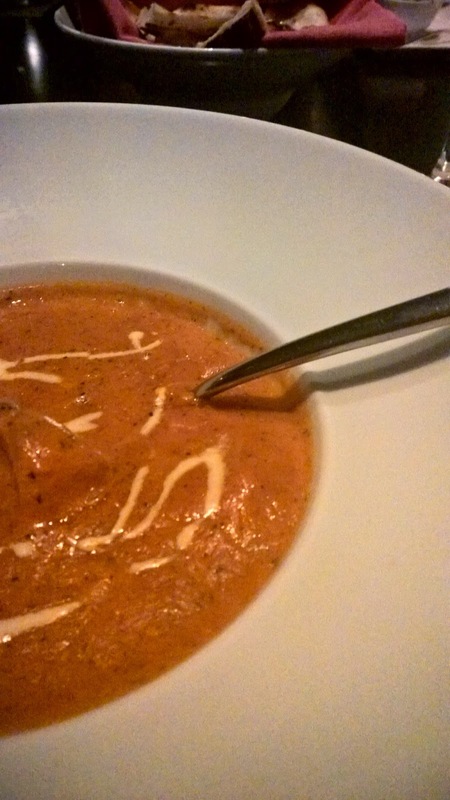 At Rangoli is goes for half the price you would pay elsewhere. It is unbelievable value. My daughter, meanwhile, loves her lassi. She describes it as not being too sweet, something she really enjoys. 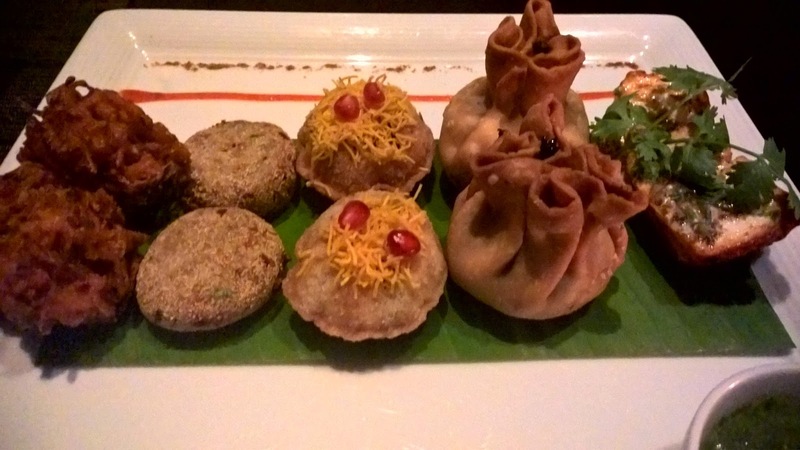 For starters we order the Rangoli Vegetarian Sampler of Papdi, paneer tikka, vegetable samosa, onion bhajia and aloo tikki. It is a platter ideal for two people, with a perfect combination between value for money and satisfying the tastebuds. The samosas prove to be substantial, while the paneer has a gorgeous texture. The coriander leaves add a bit of extra flavour to it. The onion bhajia, or onion fritters, surprise me in that they are not as 'oniony' as I feared. A winner. We also try the Mango and Avocado with mustard chili vinaigrette Dressing. Texturally, it is a very exciting dish. The crunch of the mango contrasts with the soft almost melting quality of the beautifully ripened avocado. The vinaigrette that holds it all together is bright and inviting, hot and acidic at the same time and juxtaposed very well with the sweetness of the mango. A pet hate I have in restaurants, and followers of my articles can attest to this, is when plates are cleared and replaced, cutlery is often forgotten. No such issues here. And it is done without any prompting. Effortless. Even though there is a children's menu, and my daughter actually looks through it, she orders her usual - Butter chicken. The latter is one of those Indian staples that you simply have to order. 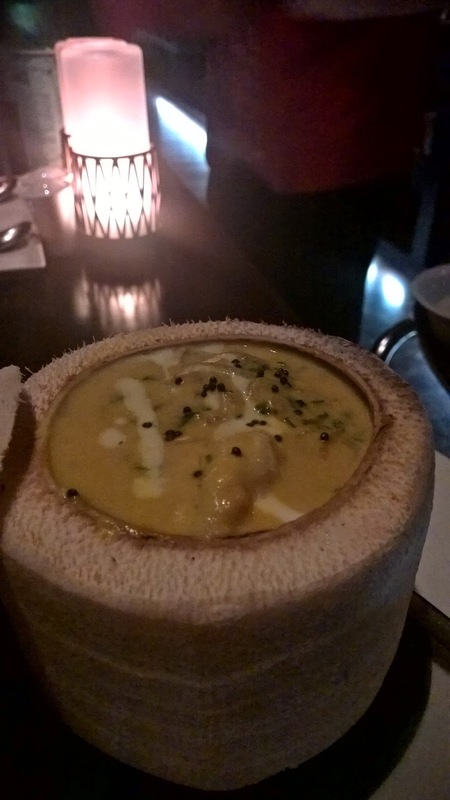 In addition, we order the Alleppey Prawn Curry with prawns, coconut, fennel seeds, and curry leaves, which is exquisitely presented in a hollowed out coconut. Again, I refer to my daughter, whose comment on this is "the chicken 'breaks easily and is so moist" - it sums up the butter chicken - who is to argue with the innocence and honesty of children? The dish of the day though, is the prawn curry. Hearty portions of prawns bathed in a decadent yellow coconut sauce. I have it with the butter naan and end up licking my fingers - it is that good. Tempted to end my dinner with the coconut sauce lingering in my mouth, I cant resist having the Kulfi falooda. 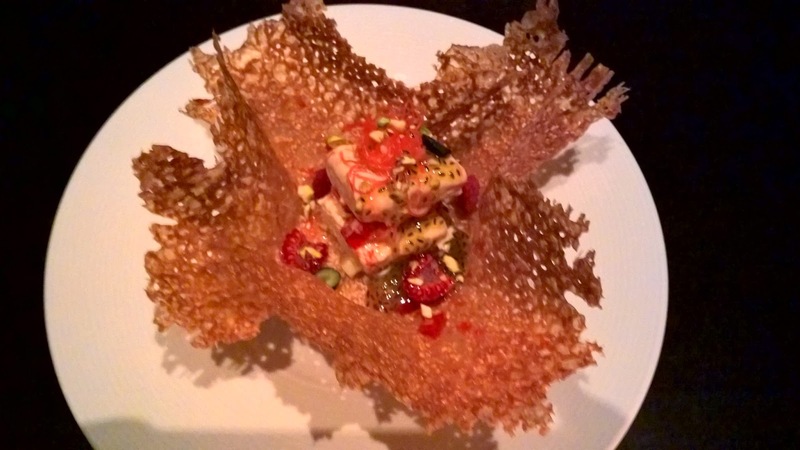 Berries and basil seeds in saffron kulfi sit within in a caramelised sesame crisp that is almost basket-like. We love it. 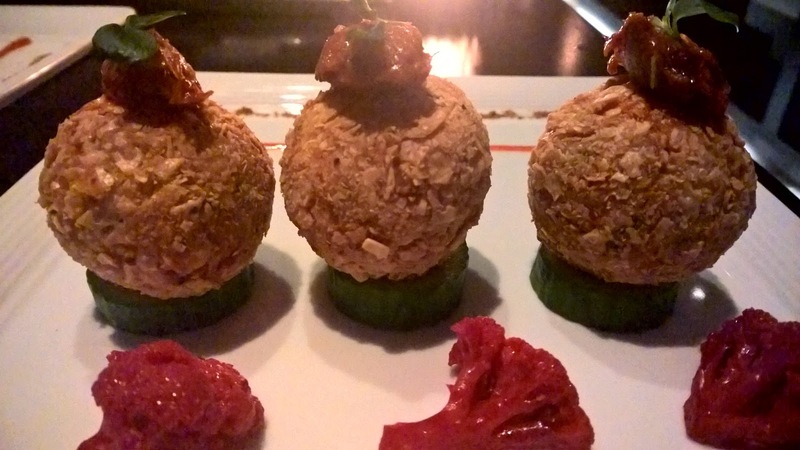 I arrived at Rangoli with no expectations and left with such a deep understanding of why it is so well liked. 5 or 6 years in F&B is a long time in the Abu Dhabi context, and that is more or less how long Rangoli has been at the top of its game. 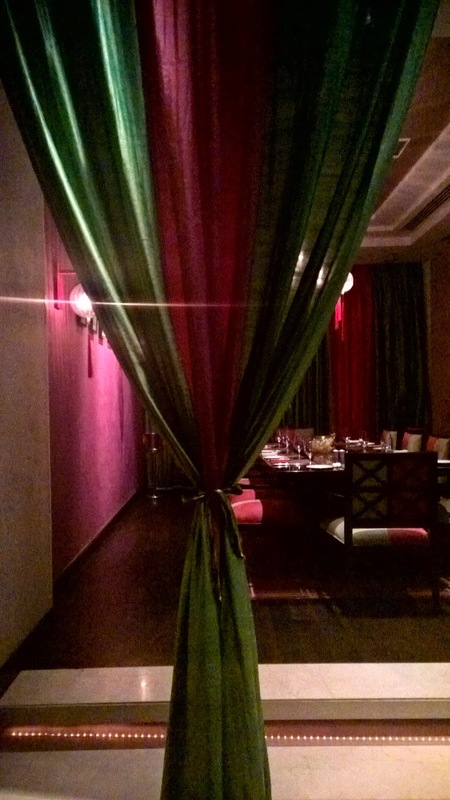 There are some fine choices for high end Indian cuisine in Abu Dhabi, but there is something undeniably outstanding about Rangoli. Any good modern Indian restaurant needs to walk that line between tradition and modernity very carefully, and I feel that is what is achieved here. When I try the paneer, for example, regardless of any creative edges, it must still be paneer for me. 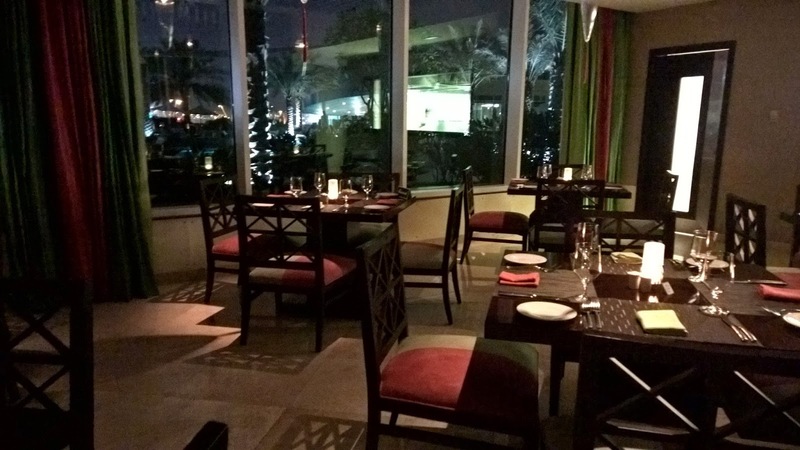 Secondly, as we grow more used to having wine with our Indian dishes, Rangoli places itself near the top of Indian restaurants in terms of educating its guests and offering of the best valued wines in Abu Dhabi. Its user friendly wine list carries on a tradition that you will find in any Rotana hotel - the guest is the real winner. Finally, the question I keep going back to is that of the most valuable resource in a restaurant - the people. The staff are unassuming (I had the pleasure of having meaningful interactions with 6 staff members ) - they are also knowledgable, engaging and well, generally nice people. 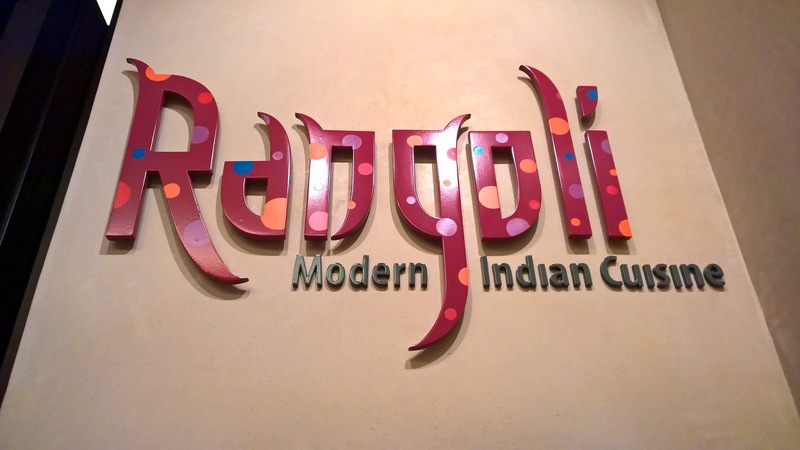 In the end, I could understand why Rangoli, at the time of writing this, was the number one Indian restaurant in Abu Dhabi on the influential travel website, tripadvisor! Disclaimer: I consult at restaurants in an attempt to look at the entire product to take service levels to where they should be. 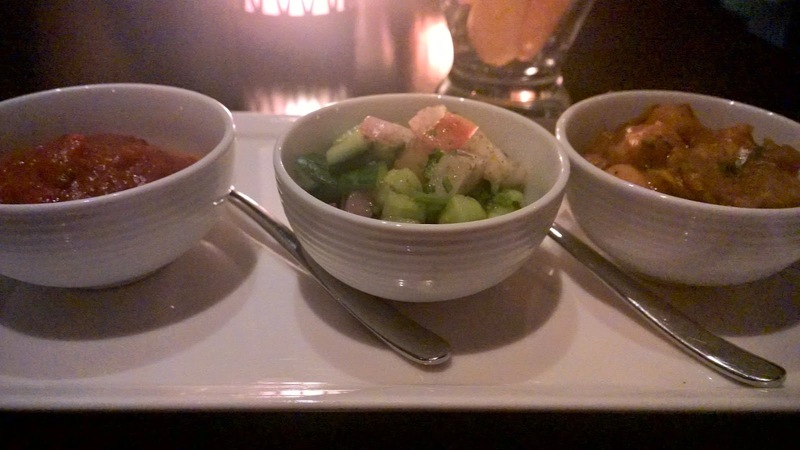 I had dinner at Rangoli as a guest of the restaurant.